Good Sign is the service business platform for the digital economy. We unite the service chain with service contract billing. Unlike existing service catalogue, service management, process automation and subscription billing systems. Good Sign is designed to unite operational automation and financial transparency for customer contracts, service operations and supplier contracts in a modern multi-actor business environment. By digitalizing service contracts, service chains and billing, Good Sign delivers dramatic savings in lead times and handling costs - providing a new level of data accuracy and an ability to foresee service revenues and margins. Clear benefits? Yes. In the end it's all about better business results and improved cash flow. 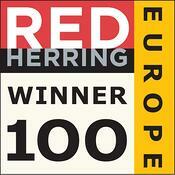 Good Sign has been appointed Red Herring Top 100 Europe Winner for 2015. Read more about this prestigious technology award! "We're able to support true heavyweight corporate operations and the chargeback, departmental complexities that come with it because our business platform incorporates a new philosophy of managing service data and information, and deep support of real, complex and variable business processes." Good Sign is setting a new benchmark for automation and transparency in service operations and finances with revolutionary software solutions, that offer a new approach to service billing, delivery and procurement. Mastering the variability resulted from user specific requirements, varied locations, service level options, many suppliers and service provider technologies. Now, yesterday, in history as well as for any agreed changes at any point in the future. 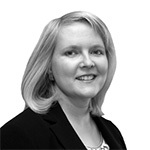 Taking into account user and contract management as well as bringing together multiple service providers and varied usage volumes. Automated for any level of detail regarding users, service components, transactions and suppliers. Good Sign is based in Helsinki, Finland and with offices also in the Netherlands and in the United States. Good Sign was founded in 2007 by the 6 owners, who are all employed by Good Sign. Good Sign’s 2015 revenue was €2,6 million and Good Sign has always been profitable from year one. We employ 25 people and are recruiting more professionals so that we can meet the demands of the service business transformation.